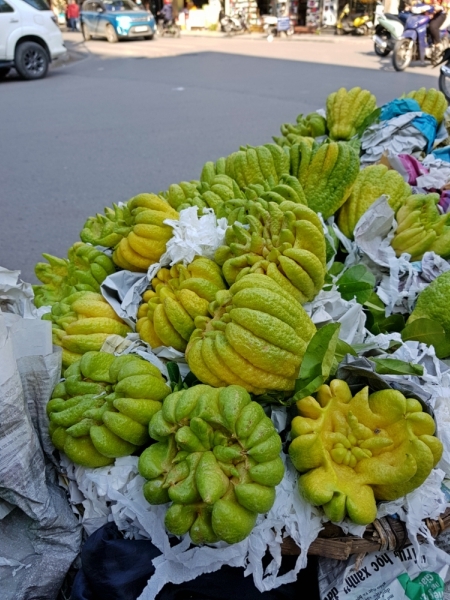 Have you already seen that special fruit called "Buddha's hand"? 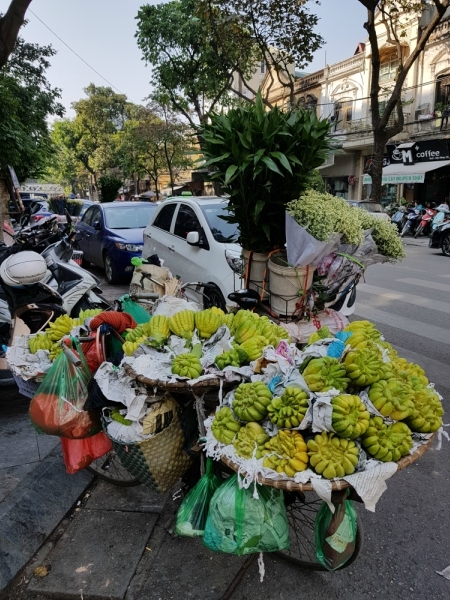 It is this time of the year when we can see everywhere this typical fruit in the streets of Hanoi. This fruit is called “phật thủ” and literally means “Buddha’s hand“. It is an unusual fruit as it is rarely eaten. Rather it is a traditional temple offering and a New Year’s gift. According to tradition, the Buddha’s hand fruit is a symbol of happiness, longevity and good fortune. Also called “lemon with fingers,” this oddly-shaped fruit is much appreciated for its sweet floral fragrance and mild zest. It is as well used for decorative utility in local homes. The number of “fingers” on the fruit is directly proportional to the family’s luck! 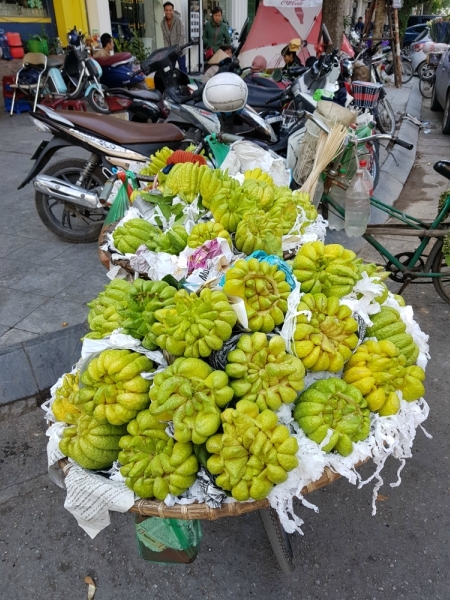 If you want to see and buy some typical fruits like this one, do not miss our interactive daily tour in Hanoi old quarter which will immerse you in the local daily life.